Happy Wednesday, everyone!! Incase you missed it yesterday I shared a fun, casual outfit perfect for the Fourth of July (you can view the post here)! So today I thought I’d share outfit ideas for every member of the family! There’s some super cute stuff out there and above are some of my favorites! 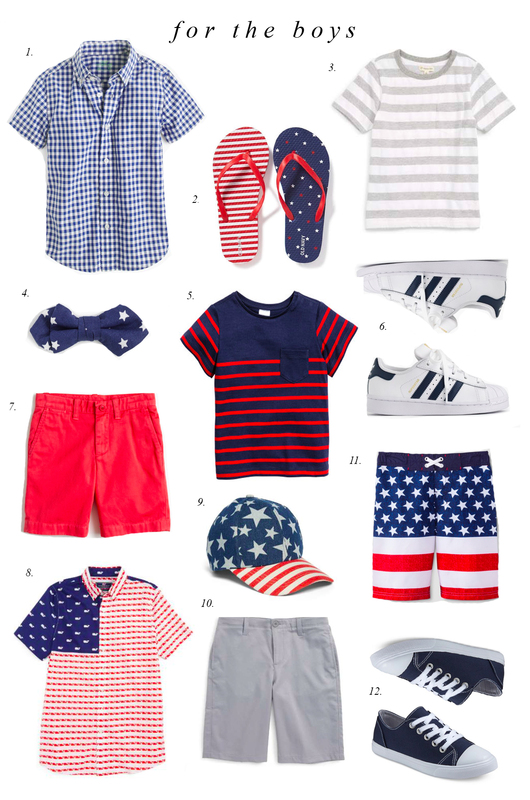 You can never have too much red, white and blue this time of year… right? Poor the little adorable Dasher boy, he has nothing to wear. ☹️ well we can always add a handkerchief to his necklace, so he can join the look for the Holiday too! :? 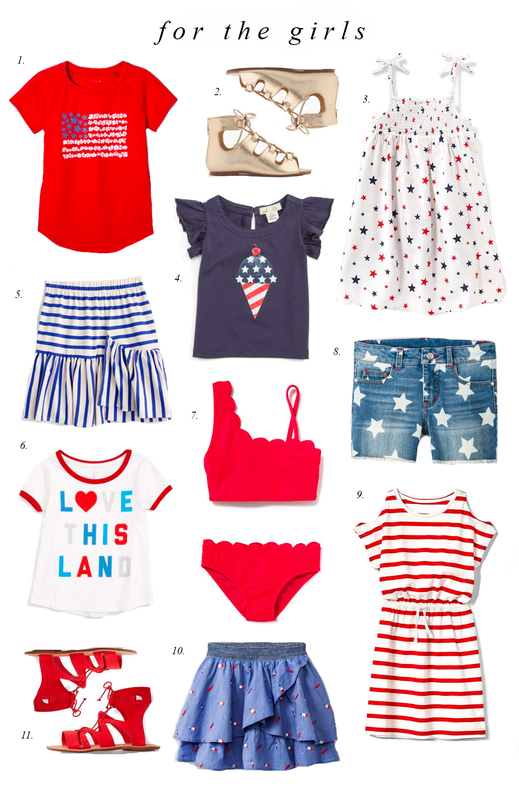 These are cute outfits for the 4th! Love the kids’ picks! That little girl’s popsicle skirt is to die for! Kinda wish they did the popsicle print skirt for us ladies too, it’s so cute!! SO many cute pieces! Especially loving the picks for little ones! So glad there are some sizes back in your everyday shirt dress! 4th of July is the best and I love all your picks! Yay!! Glad you liked the post. 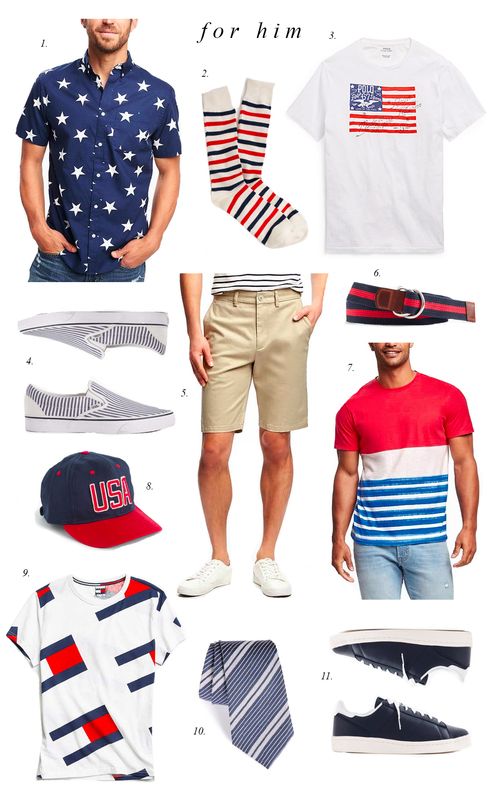 You really can’t go wrong with a striped tee or denim for the 4th! Cute picks. 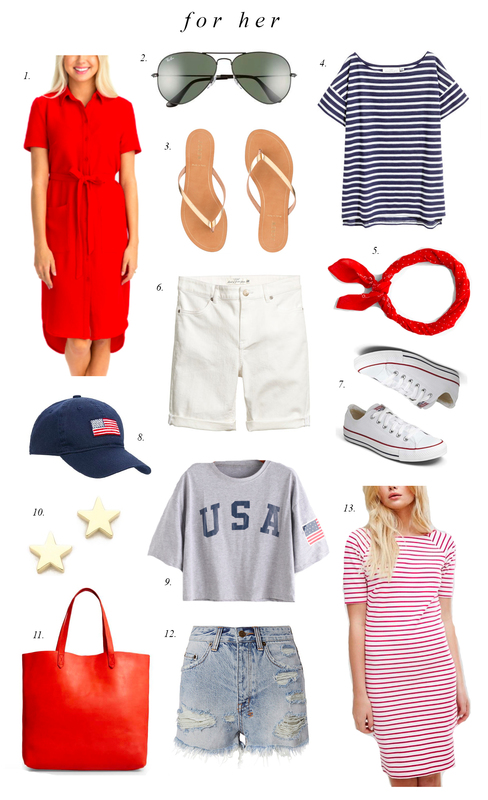 Cute fourth of July inspo!! Such a cute round up, Rach! I love when you show items for the whole fam! I love that red striped midi dress! These are such cute suggestions! Thanks for sharing! love the pieces for the whole family.